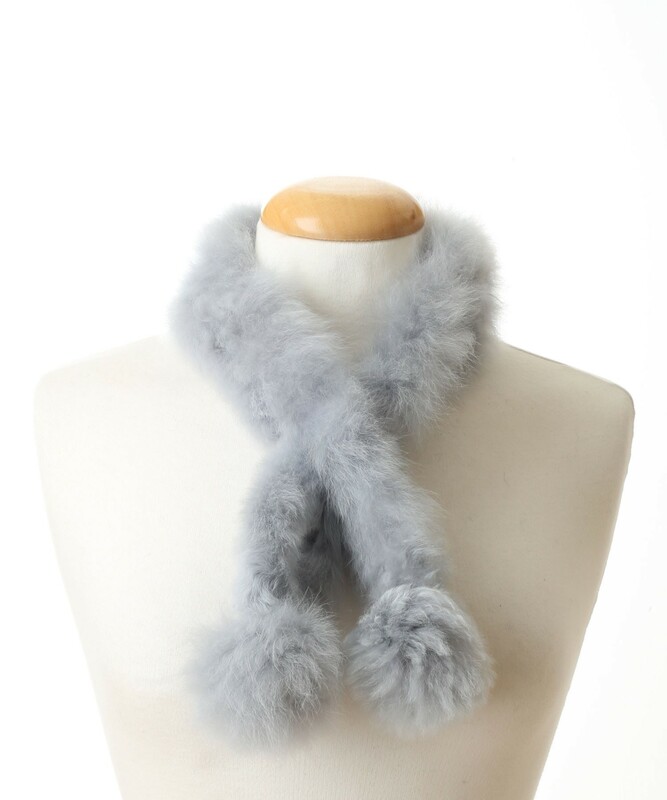 Ladies grey alpaca fur scarf by The Alpaca Clothing Co.
One of our most loved accessories, the alpaca fur scarf. This lavish scarf is like no other, made from one of the most luxurious fibres in the world, you can stay warm as well as stylish. Featuring fur pom poms and adjustable slot through fastening. Super lightweight yet incredibly warm and sumptuously soft. Looks fantastic when worn with the matching grey alpaca fur hat.